A Date with Danilo | Follow our company blog for the latest news, competitions and offers on all our official licensed calendar and card brands –from celebrities such as 5SOS, Benedict Cumberbatch, Olly Murs and Madonna, to renowned football teams and TV, entertainment and film titles. 40 DAYS COUNTDOWN TILL OUR 40TH BIRTHDAY! Danilo’s story first began 40 years ago in 1978, following the death of the King of Rock ‘n’ Roll Elvis Presley, when Danilo’s Chairman Laurence Prince recognised the public’s mood to celebrate Elvis’s life. After a plane trip to Los Angeles to secure the rights for an official Elvis calendar from Colonel Tom Parker, Laurence began his journey of turning a small printing company into the Calendar, Diary, Greetings Card & Gift Wrap publishing success it has become today! A selection of our Official 2019 Calendars every week between now and 18th October, totalling 40 Calendars! We’re delighted to reveal the #NEW Official #Sherlock 2019 Calendar Cover! Possibly the most famous detective in the world, the resident of 221b Baker Street has been brought right up to date with Benedict Cumberbatch’s portrayal in the BBC drama. Watched by an average of 12.8m viewers in series 3, this popular TV series has become globally renowned. This official calendar features imagery from all 12 episodes across the three Sherlock series as well as from The Abominable Bride Christmas Special and includes key characters such as Mrs Hudson, Molly Hooper, Irene Adler, Jim Moriarty, Inspector Greg Lestrade, Mycroft Holmes as well as Sherlock and Dr Watson, alongside a monthly date panel. My previous role was National Account Manager for Pioneer Europe Ltd ( I was selling balloons and partyware). Prior to that my career had been as follows; 15 years for Hallmark, 10 years for Carte Blanche and 3 years for Gemma. 2. What are you most looking forward to in your new role at Danilo? An opportunity to work for Danilo doesn’t come along very often, so whilst I was happy working for Pioneer Europe, I just felt that when this position became available, it was the right move for me. I am particularly looking forward to getting back into the wonderful world of cards and wrap/calendars and diaries. Although my last 2 years were out of the industry, prior to that I had done 28 years within it.. Therefore I am very excited about working with this product category again, working with some amazing customers I have met along the way plus new customers and finally working closely with the dynamic Danilo team. 3.What do you consider your greatest achievement to date? I would probably say bringing up my 2 wonderful daughters whilst working full time… oooh and not having a day off sick for over 15 years! 4.Who would play you in a film of your life? It would have to be the amazing Helen Mirren – a strong, classic and determined lady. 5.What 3 words would friends / family / colleagues use to describe you? I asked my friends this question as I didn’t think it fair to answer it myself… they said considerate, determined and hardworking… and if I was allowed a 4th word I’m sure many people would say chatty! This follows Tuesday’s news (June 19) that Is It Art (which has been representing Danilo in the independent channel for the past 18 years) is to be fully integrated into the Carte Blanche business. With mutual consent, the two publishers have amicably agreed that it is the right time to sever links. 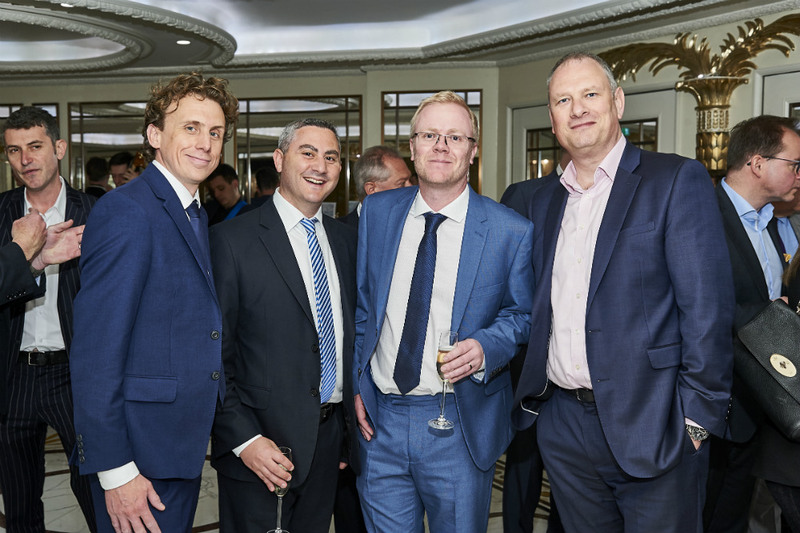 Brett Smith, sales director of Danilo explained that having watched with interest, the work Words ‘n’ Wishes has been doing in this sector over the past 12 months, “particularly in a difficult trading climate”, an approach was made. 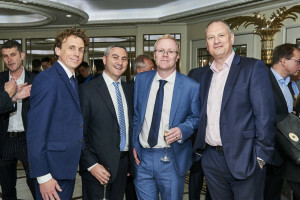 Danilo’s Daniel Prince (second left) and Brett Smith (far right) with colleagues Martin Carter (second right) and Dan Grant. “We feel Danilo’s strong portfolio of brands, along with Words ‘n’ Wishes’ outstanding reputation and customer service, will lead to a fantastic partnership ensuring our independent customers receive the products and service they deserve,” said Brett. Last October, Words ‘n’ Wishes took over the sales and distribution of card publisher Quitting Hollywood, expanding its salesforce to accommodate the broader portfolio. This is the next step in Words ‘n’ Wishes’ growth plan. 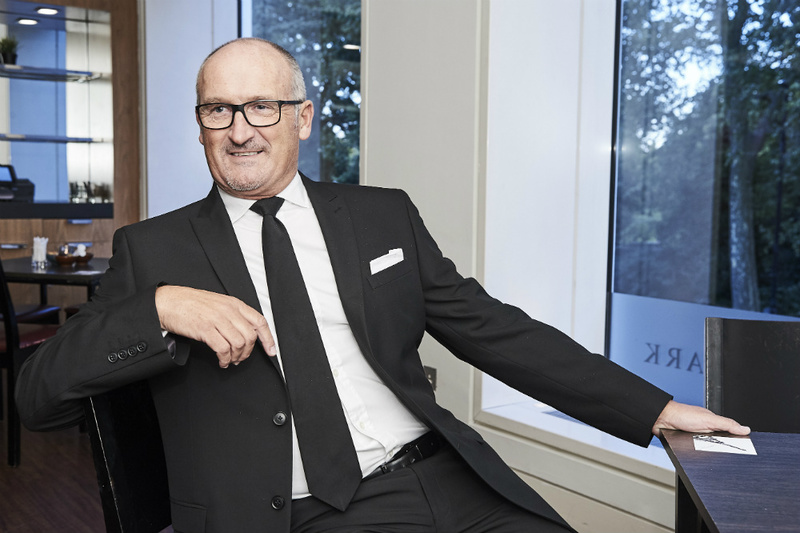 Rod Brown, joint managing director of Words ‘n’ Wishes, revealed that “When Danilo approached us to discuss the possibility of distributing their products through the independent market, we were immediately excited and flattered,” recognising that adding Danilo’s strong line up of licensed products could “only further enhance the strength and quality” of its offering to the independent sector. Words ‘n’ Wishes’ joint md Rod Brown. The Words ‘n’ Wishes salesforce of 24 agents will be carrying all the key elements of the Danilo portfolio, including a calendar offering commencing for 2020. Danilo will be contacting all customers over the next few weeks with further details of the transition to Words ‘n’ Wishes, however up until July 1 it is business as usual and orders should continue to be placed with the Is It Art sales force. PLUS To celebrate the release of the Jurassic World Fallen Kingdom movie this week, we’re giving you the chance to WIN a fantastic Jurassic World prize bundle including our new greetings cards and some official Jurassic World toys. This week is the LAST CHANCE you will have to buy any of our official 2018 Calendars and Diaries for the biggest brands in Music, TV, Film, Gaming and Sport. And with 30% Off the RRP & FREE UK Delivery, now’s the time to get yours before they’re all gone! NOW HERE’S AN ORIGINAL IDEA…. …why not get the maximum pleasure from your favourite square calendar and instantly frame your stunning calendar images using this very unique Flip Frame. It just so happens that a lot of calendars are the same size as vinyl records, so at the touch of a button your calendar can become a piece of original framed art using an LP Flip Frame. Our friends at www.showandlisten.com brought this to our attention and thought it would be a fun idea to get the maximum pleasure from your favourite calendars, past and present.